In the traditions of all peoples there have been legends of pilgrims who set stones along their path in order to find their way back to the source. 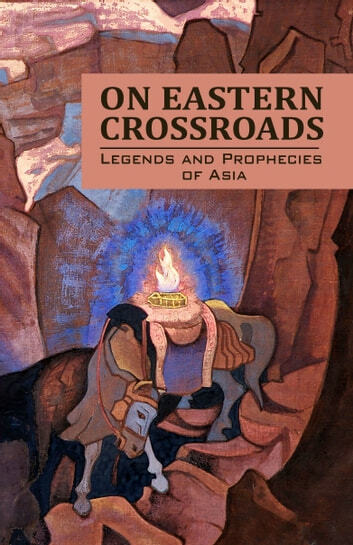 “On Eastern Crossroads,” may be regarded in this light, and we feel that each of these superb fragments so carefully gathered by her adds its sparks to the texture of truth, and reveals the steps of the most ancient traditions. In the variety of subjects, in the work, there is no feeling of a personal impress; it is like a wreath of flowers, gathered not with special concern for the specimens, but out of love for the beauty of the entire meadow. One may feel how during many travels each new contribution to the work was added without any negative thought, and thus was gradually filled the collector’s bag of benevolence. It is valuable to feel that no one is urged to accept these traditions in any one direction. But readers may be enriched in their intuition regarding the constructive aspects of the story of mankind. Thus we see how the minds of the nations collected and preserved for ages the great images as evolving sparks of their genius. These sparks should be guarded with equal solicitude by ourselves and our posterity. It is chiefly necessary that we should regard with reverence these traditions, nor demean them, but let us apply them to our spiritual necessities in the most constructive and most appreciative way. Thus, let the travelers from the past salute the future!